In the last ten years, gender-critical and feminist research on violence has gained in interdisciplinary breadth. 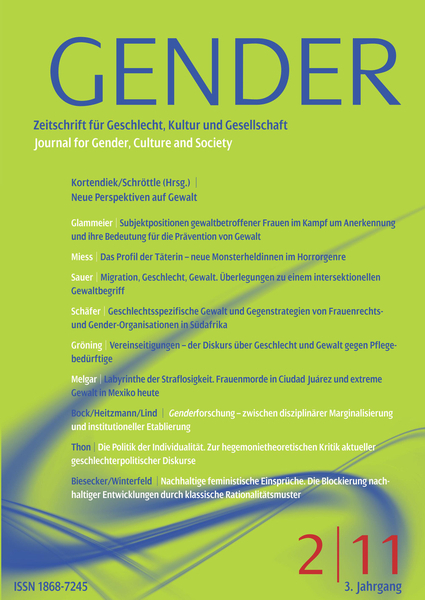 This is also reflected in the diversity of the contributions in this issue from a political and social science, educational and nursing science, psychological and cultural studies perspective. Despite all the differences, the contributions are united by the interest in finding approaches to dismantling the forms of violence studied.